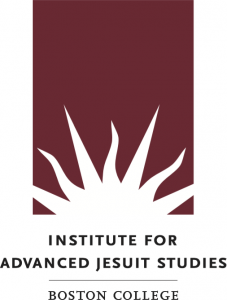 The Institute for Advanced Jesuit Studies is very pleased to welcome its three in-residence fellows for the 2018-19 academic year. Aislinn Muller, from the University of Cambridge, is the yearlong Institute Fellow. Muller wrote her doctoral dissertation on the papal excommunication and deposition of Queen Elizabeth I in 1570. While at the Institute, Muller will develop part of her doctoral research into an essay on the political and religious implications of Queen Elizabeth’s excommunication for the Jesuit missions who were sent into England during her reign. Muller will also be working on a new project that examines the role of material culture in the Jesuit missions to early modern England. She is particularly interested in objects of devotion – rosaries, relics, books of prayer, etc. – and how missionaries used these objects in their ministry to English Catholic communities, in light of the restrictions placed on Catholic worship by the English government during the late sixteenth and seventeenth centuries. Because many of these objects were outlawed, and priests in the mission were themselves hunted and prosecuted by the government, the continued popularity of these objects can tell us much about the scope and nature of Catholic religious dissent England. In residence for the fall semester as a Research Fellow, Emanuele Colombo, Associate Professor and Chair of the Department of Catholic Studies at DePaul University, focuses his research on religious history in early modern Europe: theology and politics, Jesuit missions, and Christian-Muslim encounters in the Mediterranean. At the Institute, Colombo will work on a digital database of the indipetae, letters written by Jesuits to the Superior General of the Society of Jesus to apply for the missions overseas. A tradition of the Society of Jesus for more than four centuries, the indipetae include information about the missionary selection process, the spirituality of the Society of Jesus, the circulation of information on the mission lands, and the ways in which the candidates described themselves. Because of their number, their extremely rich content, and the stability of their structure over four centuries, the indipetae represent a unique and unparalleled resource in studying the history of the Catholic Church and beg to be studied from different perspectives and through the lenses of various disciplines. In the spring, the Institute will welcome Laura Madella, from Università degli Studi di Parma, as a Research Fellow. Learn more about their research and about the application process for the 2019-20 fellowships at the Institute’s website.